To be one with nature and blending in is the underlying theme of Wild Waters Exclusive Camps and Lodges. Nkasa Lupala Tented Lodge, Jackalberry Tented Camp and Rupara Rest Camp are part of the group, and in early 2018 Serondela Lodge became the latest addition. When selecting the perfect sites for their beautiful award-winning accommodation facilities in one of the most remote and wildest parts of Namibia, the developers simply take their cue from the Chobe River and allow nature to take its course. As if following the tracks of elephants in this unconfined part of southern Africa, which is seen as one of the last strongholds of the African elephant, Nkasa Lupala Tented Lodge was developed close to where the Kwando flows into the Linyanti. And then, as if continuing upstream to where the Linyanti becomes the Chobe and forms the border of Chobe National Park, a perfect venue was discovered for Serondela: a famous elephant sighting spot on the Namibian side of the Chobe River. It is thus no wonder that an elephant is the logo of this lodge. The entire area is part of the Kavango-Zambezi Transfrontier Conservation Area (KAZA) which straddles Namibia, Angola, Zambia, Botswana and Zimbabwe, and is believed to hold as many as 250,000 elephants. Since the opening of Serondela Lodge visitors are able to enjoy the beauty of this unique part of wildest Africa from the Namibian riverbank of the mighty Chobe. Serondela Lodge, like Nkasa Lupala Tented Lodge, is a joint venture with the Kabulabula Conservancy. The local community already feels the benefits of being part of a tourism business, in terms of skills development, job creation and income generation. A unique attraction of Serondela Lodge is the fact that it is located on a seasonal island and thus mainly accessible by boat. Flood levels of the Chobe/Zambezi can be very high and make the road from Ngoma to Serondela Lodge inaccessible during most of the year. The adventure starts upon arrival by car or plane at Kasane in Botswana. Guests are transferred to Serondela via boat, along the beautiful wilderness of the river, with views of wildlife roaming the banks and a myriad of birdlife – nature putting on a show! Serondela Lodge consists of seven comfortable and beautifully decorated double rooms, one family room and two guide rooms. All the rooms are well-spaced to ensure privacy, tranquillity and exclusivity so that guests can savour the close proximity of nature, while enjoying the personal and warm hospitality of hosts Laura and Simone. The chalets are constructed on high ground overlooking the Chobe River. Each room has a balcony facing the river. The southwest facing balconies look onto the Serondela area, famous for big herds of elephants and many other animals that come to feed and drink. The buildings were constructed with plastered sandbag walls, an eco-building technique that provides a high degree of thermal insulation. With natural resource management practices at the forefront, Serondela is completely powered by a solar system. Serondela Lodge fully subscribes to sustainable tourism practices. Today’s travellers are very conscious of their impact on the environment and of their role in socio-cultural sustainability, which means minimising negative impact and footprint and focusing on more positive effects such as promoting cultural exchange and preserving local traditions. Serondela Lodge is in partnership with the Kabulabula Conservancy and part of the WWF and IRDNC joint-venture program. The location of Serondela guarantees an exclusive proximity to Chobe National Park. 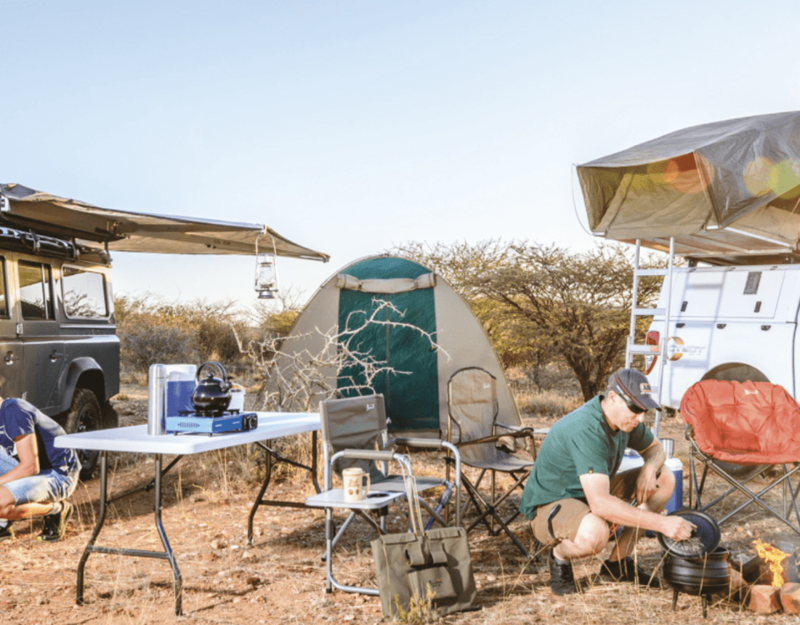 To be able to fully absorb the experience of being in the midst of Namibia’s wildest region, guests are advised to stay at least two nights (all meals included) and enjoy safari walks, sundowner cruises and game drives into Chobe National Park in Botswana. With three award-winning lodges and camps in Namibia, Wild Waters offers exceptional safari experiences and special deals for guests travelling through the remote Zambezi/Chobe area. In 2016, Nkasa Lupala Tented Lodge won the Sustainability Toursim Award, and all the Wild Waters properties follow the concept of Eco-tourism. Travellers choose to stay at these lodges because of their exclusive and wild location, limited guest and vehicle numbers, extraordinary game viewing and the exceptional and warm hospitality. Staying at Serondela Lodge, Nkasa Lupala Tented Camp or Jackalberry Camp not only inspires most visitors, but provokes some soul-searching, and surely creates memories of a lifetime, leaving guests with a warm feeling of having contributed to and lived the legacy of wildest Africa.